The moment Whitney saw this swimming pool in the backyard of our Funchal Airbnb we knew that we were in for it... Whitney ran straight towards the pool arms flapping ready to step right in! 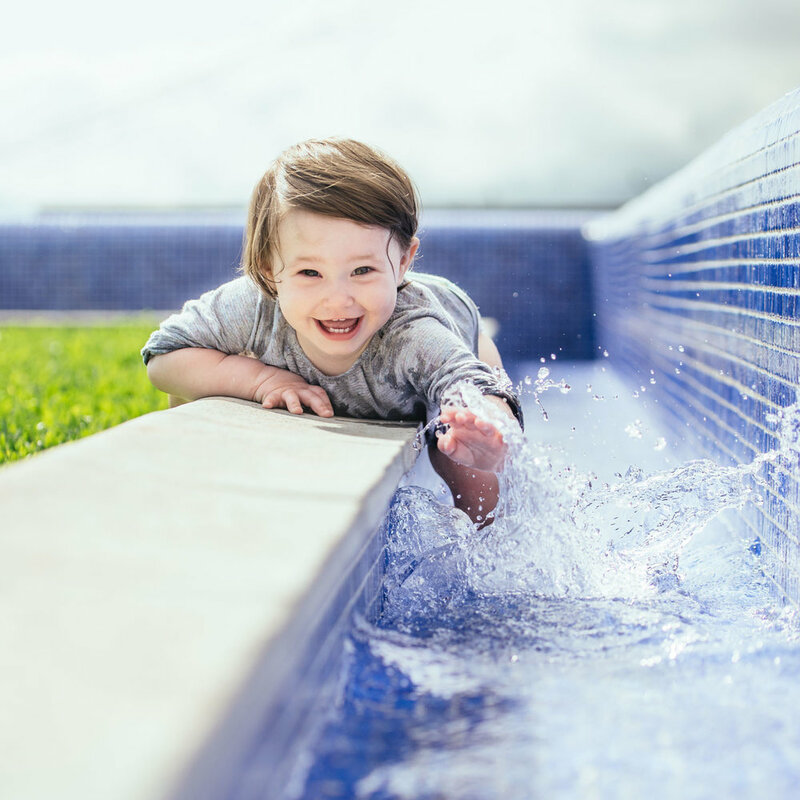 Luckily on the back side of the pool there was a much smaller pool that was perfect for Whitney to explore! We didn't have a swimming suit for her so we let her splash around in her diaper and she had a great time. One of our favorite parts about being parents is watching our daughter experience something for the first time. It is like we get to experience the world with her and we love it! The second set of photos are from a walk that we went on later in the evening. 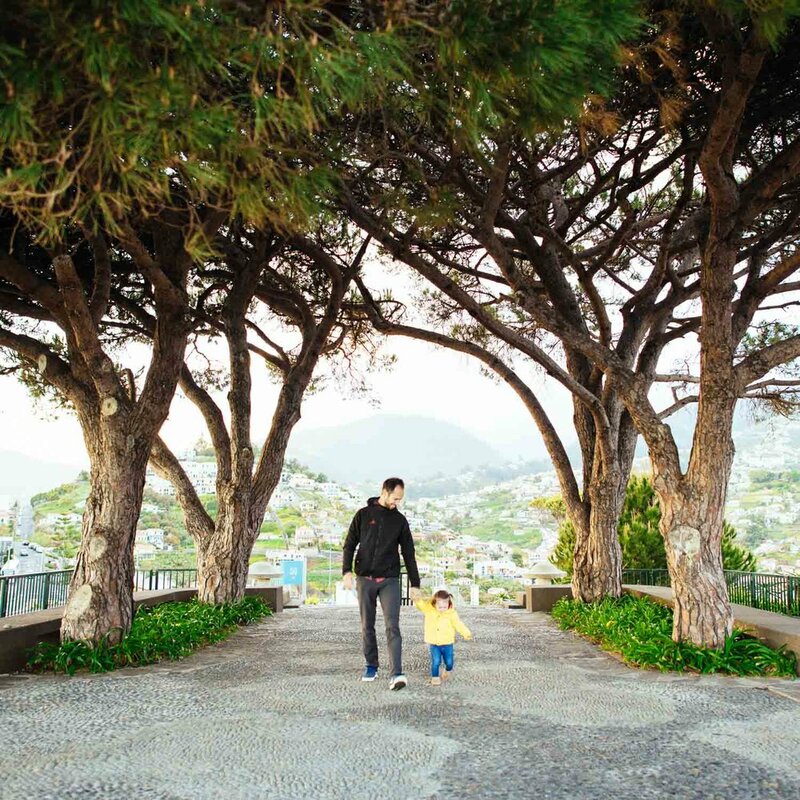 Funchal is a gorgeous area with lots of parks and is very family friendly. The entire city is built on a mountainside so there are spectacular views from many of these parks.